Prodigy Instruments - Our Story. Prodigy Instruments was founded by Robert Kurz, the Principal Bassist with the National Philharmonic. Throughout his life, as a student and as a professional musician, Robert was continuously disappointed with the level of service he received from those in the string instrument industry. There was a lack of high quality string instruments that students could afford. Robert's dissatisfaction drove him to create his own company strategically geared towards bass players and their needs. Bob's House of Basses is now one of the worlds leading suppliers of bass-related products, serving customers in twenty-five countries. Robert wanted to expand his offerings to other high quality string instruments including violins, violas, and cellos. His connections in the music industry led him to Eastman Strings , makers of professional standard string instruments. Fascinated by Eastman's success story in professional grade instruments, Robert travelled to China to see first hand how they were able to hand craft such fine instruments at such reasonable prices. Somewhere between Washington D.C. and Beijing, Robert decided that he needed to use his experience to fill a void in the student instrument industry that was keeping students from achieving their full potential. As someone who made the transition from student musician to a highly sought after professional performer, Robert Kurz was uniquely motivated and qualified to solve this problem. His dream of creating string instruments designed specifically to help student musicians realize their potential was still just an idea at this point. So he approached Eastman Strings with his plan. Intrigued by the idea of launching a new market for their incredibly successful string instruments, Eastman agreed to begin the research and development that preceded the creation of Prodigy Instruments. Today, under an exclusive agreement, Prodigy Instruments are made in the same workshops, by the same people, as Eastman's high-grade string instruments. This partnership with Eastman Strings has finally realized Robert's dream of helping student musicians achieve their goals. Born and raised in Western Pennsylvania, Robert's music studies began at the age of 5, learning the guitar. By the age of 10, Robert had joined a touring musical youth group called the Tamburitians. 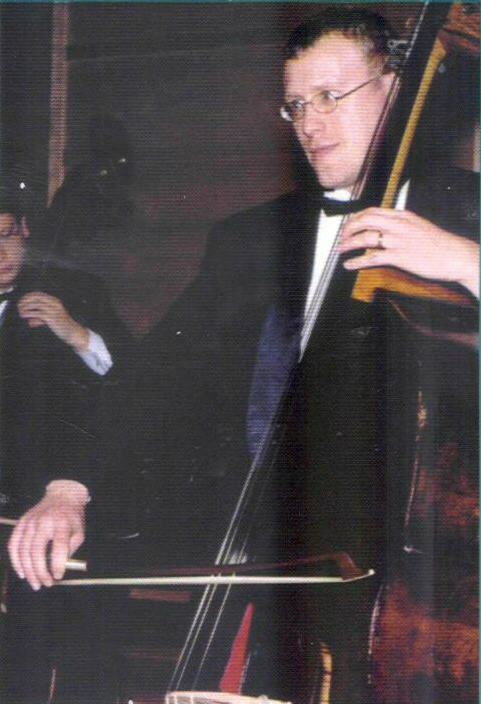 In the fifth grade, Robert began studying the double bass with John Murcko from the Youngstown Symphony. Continuing to play the double bass throughout high school, Robert set his sights on entry to college music schools, studying with Tony Bianco of the Pittsburgh Symphony. During his senior year, Robert joined the Pittsburgh Youth Symphony. College took Robert Kurz to Ohio, where he attended the Cincinnati Conservatory of Music, studying with Barry Green. In the summers during college, Robert furthered his progress at the Chautauqua Institution with Curtis Burris of the National Symphony. After graduating college, Robert focused his efforts on establishing his career as a professional bassist in the Washington D.C. area. Currently, Prodigy founder Robert Kurz is the Principal Bassist with the National Philharmonic. Now that you know "why" our instruments are made, learn "how" our instruments are made. Robert's ultimate intention was to make higher quality student instruments affordable to more musicians. See why Prodigy is such an outstanding value for up-and-coming performers.